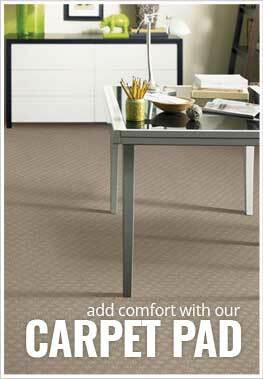 Description - Who needs mundane carpet when you can buy Shaw's Emphatic II carpet for your home or business. Available in several colors, this broadloom carpet is certain to compliment any room's décor. Resistant to staining, soiling, wear and mold make this carpet perfect as flooring any room in your home especially basements and bathrooms. Comfortable and durable, this carpet is backed by a lifetime warranty and will help to reduce the energy costs in your home or business. Recommended Uses - Shaw Emphatic II carpet is great for any room in your home or business and is very easy to clean and maintain. This broadloom carpet is commonly found as flooring in home offices, in bedrooms, as family room flooring, in basements, bathrooms, as office flooring, in churches, in living rooms, as dining room flooring, in spare rooms and much more.